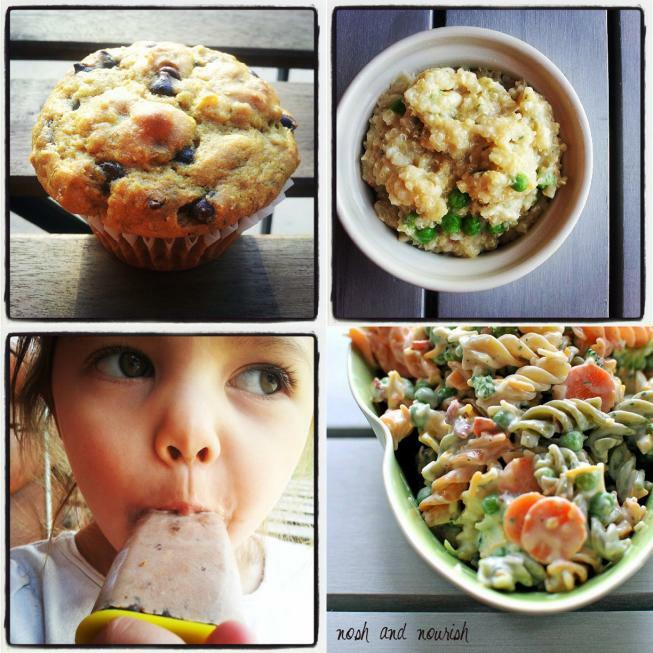 Fudgesicles, Quinoa "Mac", Muffins & Pasta Salad...oh my! Things are pretty busy right now, as I'm sure most of you can relate to -- with the end of summer and start to the back-to-school chaos. What makes my back-to-school chaos particularly chaotic, is that I WORK at a school... so I have to go back 2 weeks earlier than most, scramble for additional childcare, and oh, publish an e-cookbook somewhere in the middle of all that chaos :) It's all getting done, slowly but surely. In addition, if you haven't yet heard -- I'm teaching a cooking class this fall!! It is a middle school elective called: "Nourishing Snacks and Desserts" and starts on Aug. 26. Because of all that chaos, this past week I posted 4 recipes in Facebook links only, that I finally have time to add to the blog officially. Let's start with the fudgesicles, shall we??? These were inspired by the success of my first creamsicles: Vanilla Raspberry. But I have to be honest here, these fudgesicles are like 1010 times better!!! OMG. YUM. And as you can see, Babycakes loved them too! Next up is this Quinoa "Mac" & Cheese. Also inspired by an earlier creation of mine: Butternut Squash Mac & Cheese. This quinoa was perfectly creamy, with many italian flavors -- parmesan, mozzarella, and basil. It was a perfect side dish to baked salmon...but could also just be eaten on its own. Then comes these Health(ier) Banana Chocolate Chip muffins with nourishing add-ins like chickpeas and coconut oil. Perfect for an afternoon snack, or breakfast, or dessert, or ALL THREE!!! 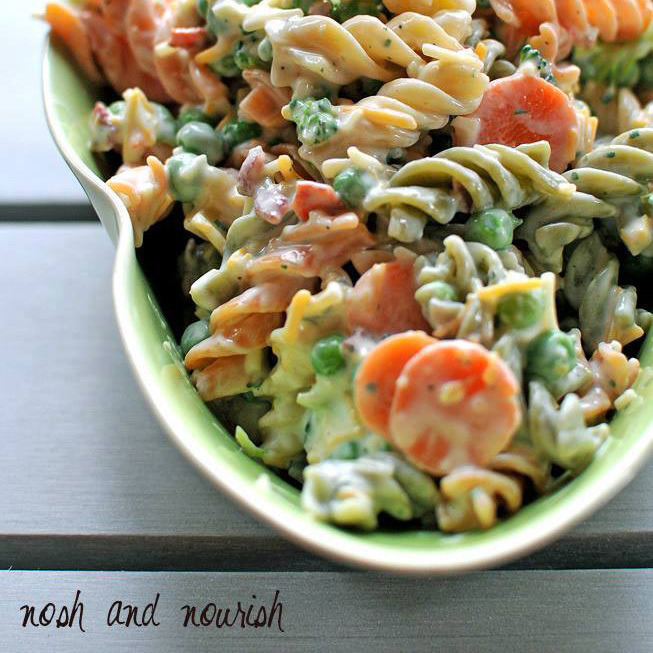 And last but not least... the creamy pasta salad I made for Babycakes' third birthday party. Instead of traditional mayo (which I hate), I used a ranch dip dressing made with plain and honey yogurt. Add veggies, bacon, and pasta... and you've got yourself one heck of a side dish!! 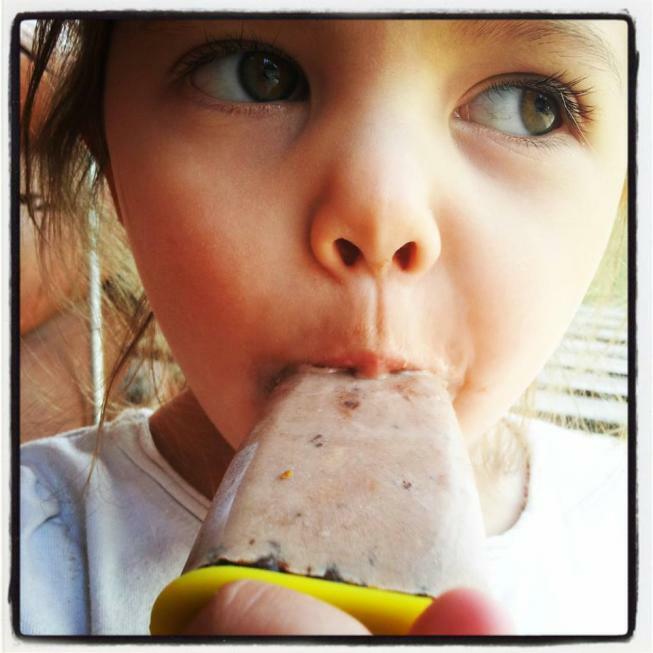 How do you stay sane during this back-to-school chaos? In a small saucepan, combine diced white peach, water, and coconut sugar. Simmer for 5 minutes, until softened and thickened. Let cool. Combine all other ingredients in a mixing bowl: peach yogurt, mashed chickpeas, almond milk, and cocoa powder. Stir in cooled peach compote. Pour into 8 popsicle forms. Cook your quinoa -- subbing 1/4 cup apple cider vinegar for some of the water required. My quinoa stated 1 cup quinoa to 2 cups water, so I used 1/4 cup ACV and 1 3/4 cup water. Bring to a boil, then cover for 8 minutes. Remove from heat, uncover, and allow to "fluff"
In a separate pan, combine white beans (rinsed & mashed), cheese, butter, milk, and basil. Melt over medium heat, stirring frequently. 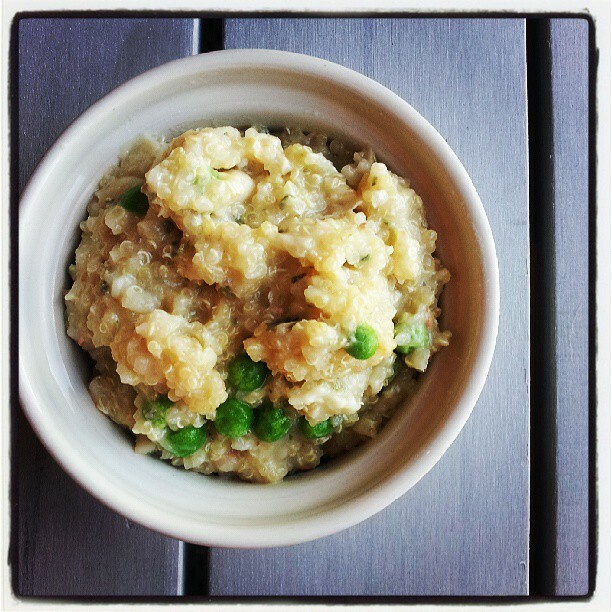 Once melted, add cooked quinoa in and peas. Serve as a side dish or on its own! 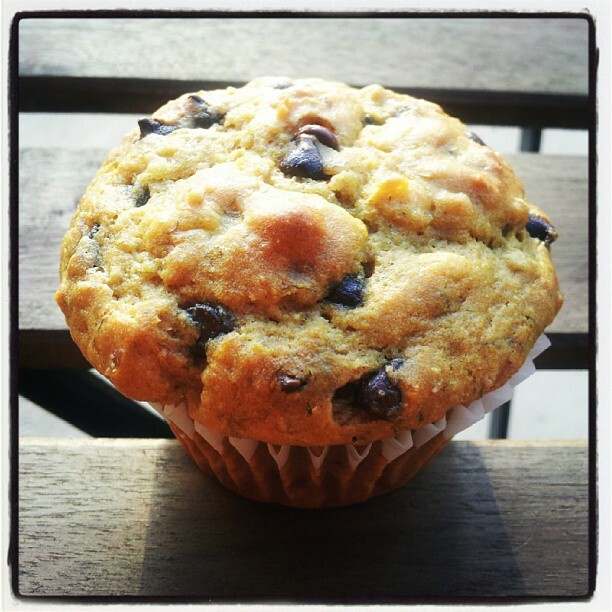 Health(ier) Banana Chocolate Chip Muffins (or bake into a loaf) with nourishing add-ins!! Combine all ingredients in the medium mixing bowl. Use non-stick spray on muffin-tin (I also used paper baking liners). Boil pasta... approximately 8 min, until cooked through. Drain, then cool pasta in the fridge. Combine broccoli, peas, crumbled bacon, cheese, and carrots in a medium mixing bowl. In a separate small bowl, create the dressing by combining the dry ranch packet with the yogurt.